TOYOTA CERTIFIED, Backup Camera, Bluetooth, ABS brakes, Alloy wheels, Electronic Stability Control, Heated door mirrors, Illuminated entry, Low tire pressure warning, Power Tilt/Slide Moonroof, Remote keyless entry, Traction control. CARFAX One-Owner. Classic Silver Metallic 2014 Toyota Corolla S Plus FWD CVT 1.8L I4 DOHC Dual VVT-i Recent Arrival! Toyota Certified Used Vehicles Details: * 160 Point Inspection * Roadside Assistance * Transferable Warranty * Vehicle History * Warranty Deductible: $50 * Limited Comprehensive Warranty: 12 Month/12,000 Mile (whichever comes first) from certified purchase date. Roadside Assistance for 1 Year * Powertrain Limited Warranty: 84 Month/100,000 Mile (whichever comes first) from original in-service date Awards: * 2014 KBB.com 10 Tech-Savviest Cars Under $20,000 * 2014 KBB.com 5-Year Cost to Own Awards * 2014 KBB.com Best Resale Value Awards Here at Jay Wolfe Toyota, we've been happily serving the Kansas City area for 60 years! For sales, service, and parts we are easy to work with and love creating customers for life. Please visit our website at http://www.jaywolfetoyota.com. TOYOTA CERTIFIED, Backup Camera, Bluetooth, ABS brakes, Alloy wheels, Electronic Stability Control, Heated door mirrors, Illuminated entry, Low tire pressure warning, Remote keyless entry, Traction control. CARFAX One-Owner. Clean CARFAX. Black Sand Pearl 2016 Toyota Corolla LE Plus FWD CVT 1.8L I4 DOHC Dual VVT-i Recent Arrival! Toyota Certified Used Vehicles Details: * Transferable Warranty * Warranty Deductible: $50 * Powertrain Limited Warranty: 84 Month/100,000 Mile (whichever comes first) from original in-service date * Roadside Assistance * 160 Point Inspection * Limited Comprehensive Warranty: 12 Month/12,000 Mile (whichever comes first) from certified purchase date. 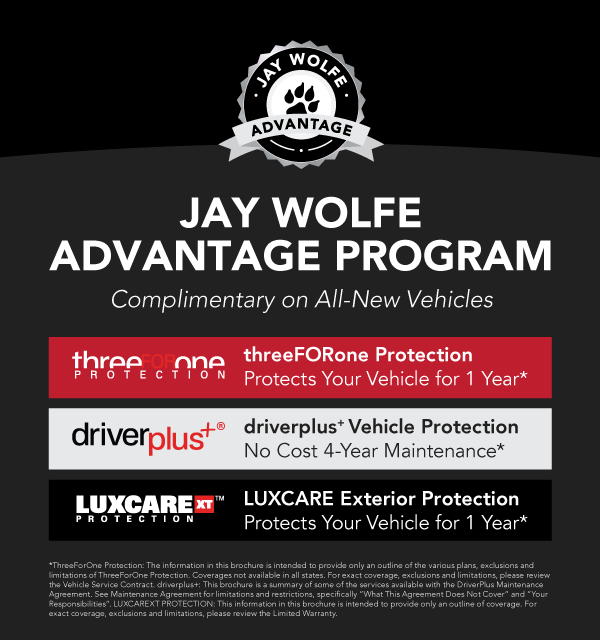 Roadside Assistance for 1 Year * Vehicle History Awards: * 2016 KBB.com 5-Year Cost to Own Awards * 2016 KBB.com Best Buy Awards Finalist Here at Jay Wolfe Toyota, we've been happily serving the Kansas City area for 60 years! For sales, service, and parts we are easy to work with and love creating customers for life. Please visit our website at http://www.jaywolfetoyota.com. TOYOTA CERTIFIED, Backup Camera, Bluetooth, ABS brakes, Electronic Stability Control, Front dual zone A/C, Heated door mirrors, Illuminated entry, Low tire pressure warning, Remote keyless entry, Traction control. CARFAX One-Owner. Clean CARFAX. Attitude Black 2015 Toyota Camry Hybrid LE FWD eCVT 2.5L I4 Hybrid DOHC Toyota Certified Used Vehicles Details: * Warranty Deductible: $50 * Transferable Warranty * Limited Comprehensive Warranty: 12 Month/12,000 Mile (whichever comes first) from certified purchase date. Roadside Assistance for 1 Year * 160 Point Inspection * Powertrain Limited Warranty: 84 Month/100,000 Mile (whichever comes first) from original in-service date * Vehicle History * Roadside Assistance Reviews: * Comfortable and spacious interior; strong acceleration; good visibility; user-friendly interior controls. Source: Edmunds Here at Jay Wolfe Toyota, we've been happily serving the Kansas City area for 60 years! For sales, service, and parts we are easy to work with and love creating customers for life. Please visit our website at http://www.jaywolfetoyota.com. ABS brakes, Electronic Stability Control, Front dual zone A/C, Heated door mirrors, Heated front seats, Illuminated entry, Low tire pressure warning, Remote keyless entry, Traction control. Clean CARFAX. Blizzard Pearl 2015 Toyota Camry XSE FWD 6-Speed Automatic 2.5L I4 SMPI DOHC 25/35 City/Highway MPG Toyota Certified Used Vehicles Details: * Warranty Deductible: $50 * Transferable Warranty * Limited Comprehensive Warranty: 12 Month/12,000 Mile (whichever comes first) from certified purchase date. Roadside Assistance for 1 Year * 160 Point Inspection * Roadside Assistance * Powertrain Limited Warranty: 84 Month/100,000 Mile (whichever comes first) from original in-service date * Vehicle History Awards: * 2015 KBB.com 10 Best Sedans Under $25,000 * 2015 KBB.com 15 Best Family Cars Here at Jay Wolfe Toyota, we've been happily serving the Kansas City area for 60 years! For sales, service, and parts we are easy to work with and love creating customers for life. Please visit our website at http://www.jaywolfetoyota.com. ABS brakes, Electronic Stability Control, Front dual zone A/C, Heated door mirrors, Illuminated entry, Low tire pressure warning, Remote keyless entry, Traction control. CARFAX One-Owner. Clean CARFAX. Parisian Night Pearl 2017 Toyota Camry Hybrid LE FWD eCVT 2.5L I4 Hybrid DOHC Toyota Certified Used Vehicles Details: * 160 Point Inspection * Transferable Warranty * Warranty Deductible: $50 * Limited Comprehensive Warranty: 12 Month/12,000 Mile (whichever comes first) from certified purchase date. Roadside Assistance for 1 Year * Powertrain Limited Warranty: 84 Month/100,000 Mile (whichever comes first) from original in-service date * Vehicle History * Roadside Assistance Awards: * 2017 KBB.com 10 Best Sedans Under $25,000 * 2017 KBB.com 10 Most Comfortable Cars Under $30,000 * 2017 KBB.com 10 Most Awarded Brands * 2017 KBB.com Best Resale Value Awards Here at Jay Wolfe Toyota, we've been happily serving the Kansas City area for 60 years! For sales, service, and parts we are easy to work with and love creating customers for life. Please visit our website at http://www.jaywolfetoyota.com. TOYOTA CERTIFIED, Push Button Start, Backup Camera, ABS brakes, Active Cruise Control, Electronic Stability Control, Heated door mirrors, Illuminated entry, Lane Change Assist, Low tire pressure warning, Remote keyless entry, Traction control. CARFAX One-Owner. Classic Silver Metallic 2017 Toyota Prius Two FWD CVT 1.8L 4-Cylinder DOHC 16V VVT-i 54/50 City/Highway MPG Toyota Certified Used Vehicles Details: * Limited Comprehensive Warranty: 12 Month/12,000 Mile (whichever comes first) from certified purchase date. Roadside Assistance for 1 Year * Vehicle History * Transferable Warranty * 160 Point Inspection * Powertrain Limited Warranty: 84 Month/100,000 Mile (whichever comes first) from original in-service date * Warranty Deductible: $50 * Roadside Assistance Awards: * 2017 KBB.com 10 Best Hybrid Cars Under $40,000 * 2017 KBB.com 5-Year Cost to Own Awards * 2017 KBB.com 10 Most Awarded Brands * 2017 KBB.com Best Resale Value Awards Reviews: * Capable of 50-plus miles per gallon; cabin remains quiet even when the gasoline engine is engaged; liftback design makes for easy access to the cargo area; plenty of room for four adults in the spacious cabin; offers a complete package of high-tech active safety equipment. Source: Edmunds * Capable of 50-plus miles per gallon; cabin remains quiet even when the gasoline engine is engaged; easy to see out of and maneuver around town; offers a complete package of high-tech active safety equipment. Source: Edmunds Here at Jay Wolfe Toyota, we've been happily serving the Kansas City area for 60 years! For sales, service, and parts we are easy to work with and love creating customers for life. Please visit our website at http://www.jaywolfetoyota.com. Backup Camera, Sunroof / Moonroof, Keyless Entry, ABS brakes, Electronic Stability Control, Heated door mirrors, Illuminated entry, Low tire pressure warning, Remote keyless entry, Traction control. Slate Metallic 2016 Toyota Corolla S Plus FWD CVT 1.8L I4 DOHC Dual VVT-i Recent Arrival! Odometer is 18894 miles below market average! Toyota Certified Used Vehicles Details: * Vehicle History * Powertrain Limited Warranty: 84 Month/100,000 Mile (whichever comes first) from original in-service date * 160 Point Inspection * Roadside Assistance * Transferable Warranty * Limited Comprehensive Warranty: 12 Month/12,000 Mile (whichever comes first) from certified purchase date. Roadside Assistance for 1 Year * Warranty Deductible: $50 Awards: * 2016 KBB.com Best Buy Awards Finalist * 2016 KBB.com 5-Year Cost to Own Awards Here at Jay Wolfe Toyota, we've been happily serving the Kansas City area for 60 years! For sales, service, and parts we are easy to work with and love creating customers for life. Please visit our website at http://www.jaywolfetoyota.com. Push Button Start, Backup Camera, Bluetooth, ABS brakes, Electronic Stability Control, Front dual zone A/C, Heated door mirrors, Illuminated entry, Low tire pressure warning, Remote keyless entry, Traction control. CARFAX One-Owner. Clean CARFAX. Midnight Black Metallic 2016 Toyota Camry Hybrid LE FWD eCVT 2.5L I4 Hybrid DOHC Odometer is 5179 miles below market average! Toyota Certified Used Vehicles Details: * Vehicle History * Warranty Deductible: $50 * Limited Comprehensive Warranty: 12 Month/12,000 Mile (whichever comes first) from certified purchase date. Roadside Assistance for 1 Year * 160 Point Inspection * Transferable Warranty * Powertrain Limited Warranty: 84 Month/100,000 Mile (whichever comes first) from original in-service date * Roadside Assistance Here at Jay Wolfe Toyota, we've been happily serving the Kansas City area for 60 years! For sales, service, and parts we are easy to work with and love creating customers for life. Please visit our website at http://www.jaywolfetoyota.com. TOYOTA CERTIFIED, Backup Camera, Bluetooth, ABS brakes, Electronic Stability Control, Heated door mirrors, Illuminated entry, Low tire pressure warning, Remote keyless entry, Traction control. CARFAX One-Owner. Clean CARFAX. Predawn Gray Mica 2016 Toyota Camry LE FWD 6-Speed Automatic 2.5L I4 SMPI DOHC Odometer is 16362 miles below market average! 25/35 City/Highway MPG Toyota Certified Used Vehicles Details: * Roadside Assistance * 160 Point Inspection * Limited Comprehensive Warranty: 12 Month/12,000 Mile (whichever comes first) from certified purchase date. Roadside Assistance for 1 Year * Warranty Deductible: $50 * Powertrain Limited Warranty: 84 Month/100,000 Mile (whichever comes first) from original in-service date * Transferable Warranty * Vehicle History Awards: * 2016 KBB.com Best Buy Awards Finalist * 2016 KBB.com 10 Best UberX Candidates * 2016 KBB.com 10 Most Awarded Cars * 2016 KBB.com 5-Year Cost to Own Awards * 2016 KBB.com 10 Best Sedans Under $25,000 * 2016 KBB.com 10 Most Comfortable Cars Under $30,000 Here at Jay Wolfe Toyota, we've been happily serving the Kansas City area for 60 years! For sales, service, and parts we are easy to work with and love creating customers for life. Please visit our website at http://www.jaywolfetoyota.com. TOYOTA CERTIFIED, Backup Camera, Keyless Entry. CARFAX One-Owner. Magnetic Gray Metallic 2016 Toyota RAV4 LE FWD 6-Speed Automatic 2.5L 4-Cylinder DOHC Dual VVT-i Recent Arrival! 23/30 City/Highway MPG Toyota Certified Used Vehicles Details: * Transferable Warranty * Vehicle History * Warranty Deductible: $50 * Powertrain Limited Warranty: 84 Month/100,000 Mile (whichever comes first) from original in-service date * 160 Point Inspection * Roadside Assistance * Limited Comprehensive Warranty: 12 Month/12,000 Mile (whichever comes first) from certified purchase date. Roadside Assistance for 1 Year Awards: * 2016 IIHS Top Safety Pick+ * 2016 KBB.com 10 Best SUVs Under $25,000 Reviews: * Roomy interior for people and cargo; strikes a good balance between ride comfort and secure handling; well-sorted tech interface. Source: Edmunds Here at Jay Wolfe Toyota, we've been happily serving the Kansas City area for 60 years! For sales, service, and parts we are easy to work with and love creating customers for life. Please visit our website at http://www.jaywolfetoyota.com. TOYOTA CERTIFIED, Backup Camera, Bluetooth, ABS brakes, Alloy wheels, Electronic Stability Control, Heated door mirrors, Illuminated entry, Low tire pressure warning, Remote keyless entry, Traction control. CARFAX One-Owner. Clean CARFAX. Blizzard Pearl 2016 Toyota Prius Two Eco FWD CVT 1.8L 4-Cylinder DOHC 16V VVT-i Recent Arrival! 54/50 City/Highway MPG Toyota Certified Used Hybrids Details: * Warranty Deductible: $50 * Transferable Warranty * Vehicle History * Limited Comprehensive Warranty: 12 Month/12,000 Mile (whichever comes first) from certified purchase date. Battery 8 years/100,000 miles (whichever comes first) from original in-service date. Roadside Assistance for 1 Year * 174 Point Inspection * Roadside Assistance * Powertrain Limited Warranty: 84 Month/100,000 Mile (whichever comes first) from original in-service date Awards: * 2016 KBB.com 10 Best Hybrid Cars Under $30,000 * 2016 KBB.com 10 Most Fuel-Efficient Cars Under $25,000 * 2016 KBB.com 10 Favorite Fuel Sippers Reviews: * Outstanding fuel economy; notably quieter and better-riding than past iterations; generous cargo space; significantly improved driving position. Source: Edmunds Here at Jay Wolfe Toyota, we've been happily serving the Kansas City area for 60 years! For sales, service, and parts we are easy to work with and love creating customers for life. Please visit our website at http://www.jaywolfetoyota.com. ABS brakes, Electronic Stability Control, Front dual zone A/C, Heated door mirrors, Heated front seats, Illuminated entry, Leather Seat Trim, Low tire pressure warning, Remote keyless entry, Traction control. CARFAX One-Owner. Clean CARFAX. Parisian Night Pearl 2016 Toyota Camry XLE FWD FWD 6-Speed Automatic 2.5L I4 SMPI DOHC Odometer is 20123 miles below market average! 25/35 City/Highway MPG Toyota Certified Used Vehicles Details: * Limited Comprehensive Warranty: 12 Month/12,000 Mile (whichever comes first) from certified purchase date. Roadside Assistance for 1 Year * Transferable Warranty * Roadside Assistance * 160 Point Inspection * Warranty Deductible: $50 * Vehicle History * Powertrain Limited Warranty: 84 Month/100,000 Mile (whichever comes first) from original in-service date Awards: * 2016 KBB.com 10 Best Sedans Under $25,000 * 2016 KBB.com 10 Best UberX Candidates * 2016 KBB.com Best Buy Awards Finalist * 2016 KBB.com 10 Most Awarded Cars * 2016 KBB.com 10 Most Comfortable Cars Under $30,000 * 2016 KBB.com 5-Year Cost to Own Awards Here at Jay Wolfe Toyota, we've been happily serving the Kansas City area for 60 years! For sales, service, and parts we are easy to work with and love creating customers for life. Please visit our website at http://www.jaywolfetoyota.com. ABS brakes, Alloy wheels, Compass, Electronic Stability Control, Front dual zone A/C, Heated door mirrors, Heated front seats, Illuminated entry, Leather Seat Trim, Low tire pressure warning, Remote keyless entry, Traction control. CARFAX One-Owner. Clean CARFAX. Predawn Gray Mica 2016 Toyota Camry Hybrid XLE FWD eCVT 2.5L I4 Hybrid DOHC Toyota Certified Used Vehicles Details: * Roadside Assistance * Transferable Warranty * Vehicle History * Warranty Deductible: $50 * Powertrain Limited Warranty: 84 Month/100,000 Mile (whichever comes first) from original in-service date * 160 Point Inspection * Limited Comprehensive Warranty: 12 Month/12,000 Mile (whichever comes first) from certified purchase date. Roadside Assistance for 1 Year Here at Jay Wolfe Toyota, we've been happily serving the Kansas City area for 60 years! For sales, service, and parts we are easy to work with and love creating customers for life. Please visit our website at http://www.jaywolfetoyota.com. TOYOTA CERTIFIED, Backup Camera, Bluetooth, 7.5J x 18" Alloy Wheels, ABS brakes, Electronic Stability Control, Front dual zone A/C, Heated door mirrors, Heated front seats, Illuminated entry, Low tire pressure warning, Remote keyless entry, Traction control. CARFAX One-Owner. Clean CARFAX. Celestial Silver Metallic 2016 Toyota Camry XSE FWD 6-Speed Automatic 2.5L I4 SMPI DOHC Odometer is 8112 miles below market average! 25/35 City/Highway MPG Toyota Certified Used Vehicles Details: * Transferable Warranty * 160 Point Inspection * Limited Comprehensive Warranty: 12 Month/12,000 Mile (whichever comes first) from certified purchase date. Roadside Assistance for 1 Year * Vehicle History * Powertrain Limited Warranty: 84 Month/100,000 Mile (whichever comes first) from original in-service date * Warranty Deductible: $50 * Roadside Assistance Awards: * 2016 KBB.com 10 Best Sedans Under $25,000 * 2016 KBB.com 5-Year Cost to Own Awards * 2016 KBB.com 10 Most Comfortable Cars Under $30,000 * 2016 KBB.com Best Buy Awards Finalist * 2016 KBB.com 10 Most Awarded Cars * 2016 KBB.com 10 Best UberX Candidates Here at Jay Wolfe Toyota, we've been happily serving the Kansas City area for 60 years! For sales, service, and parts we are easy to work with and love creating customers for life. Please visit our website at http://www.jaywolfetoyota.com. TOYOTA CERTIFIED, Backup Camera, Bluetooth. CARFAX One-Owner. Super White 2016 Toyota RAV4 LE AWD AWD 6-Speed Automatic 2.5L 4-Cylinder DOHC Dual VVT-i 22/29 City/Highway MPG Toyota Certified Used Vehicles Details: * Powertrain Limited Warranty: 84 Month/100,000 Mile (whichever comes first) from original in-service date * Transferable Warranty * Roadside Assistance * Vehicle History * Warranty Deductible: $50 * Limited Comprehensive Warranty: 12 Month/12,000 Mile (whichever comes first) from certified purchase date. Roadside Assistance for 1 Year * 160 Point Inspection Awards: * 2016 IIHS Top Safety Pick+ * 2016 KBB.com 10 Best SUVs Under $25,000 Reviews: * Roomy interior for people and cargo; strikes a good balance between ride comfort and secure handling; well-sorted tech interface. Source: Edmunds Here at Jay Wolfe Toyota, we've been happily serving the Kansas City area for 60 years! For sales, service, and parts we are easy to work with and love creating customers for life. Please visit our website at http://www.jaywolfetoyota.com. ABS brakes, Alloy wheels, Compass, Electronic Stability Control, Front dual zone A/C, Heated door mirrors, Heated front seats, Illuminated entry, Low tire pressure warning, Power moonroof, Remote keyless entry, Traction control. CARFAX One-Owner. Clean CARFAX. Cosmic Gray Mica 2015 Toyota Camry XSE V6 FWD 6-Speed Automatic 3.5L V6 SMPI DOHC Odometer is 12831 miles below market average! 21/31 City/Highway MPG Toyota Combined Details: * Warranty Deductible: $50 * Limited Comprehensive Warranty: 12 Month/12,000 Mile (whichever comes first) from certified purchase date. Roadside Assistance for 1 Year (for Toyota Certified Used Vehicles program), Limited Comprehensive Warranty: 12 Month/12,000 Mile (whichever comes first) from certified purchase date. Battery 8 years/100,000 miles (whichever comes first) from original in-service date. Roadside Assistance for 1 Year (for Toyota Certified Used Hybrids program) * Roadside Assistance * Vehicle History * 160 Point Inspection (for Toyota Certified Used Vehicles program), 174 Point Inspection (for Toyota Certified Used Hybrids program) * Powertrain Limited Warranty: 84 Month/100,000 Mile (whichever comes first) from original in-service date * Transferable Warranty Awards: * 2015 KBB.com 10 Best Sedans Under $25,000 * 2015 KBB.com 15 Best Family Cars Here at Jay Wolfe Toyota, we've been happily serving the Kansas City area for 60 years! For sales, service, and parts we are easy to work with and love creating customers for life. Please visit our website at http://www.jaywolfetoyota.com. TOYOTA CERTIFIED, Backup Camera, Bluetooth, Chrome wheels, Power moonroof, Radio: Entune Audio Plus AM/FM/CD/MP3/WMA Playback. Clean CARFAX. Super White 2015 Toyota RAV4 XLE FWD FWD 6-Speed Automatic 2.5L 4-Cylinder DOHC Dual VVT-i Recent Arrival! Odometer is 7016 miles below market average! 24/31 City/Highway MPG Toyota Certified Used Vehicles Details: * Transferable Warranty * Limited Comprehensive Warranty: 12 Month/12,000 Mile (whichever comes first) from certified purchase date. Roadside Assistance for 1 Year * 160 Point Inspection * Warranty Deductible: $50 * Powertrain Limited Warranty: 84 Month/100,000 Mile (whichever comes first) from original in-service date * Vehicle History * Roadside Assistance Awards: * 2015 KBB.com 10 Best All-Wheel-Drive Vehicles Under $25,000 * 2015 KBB.com 10 Best SUVs Under $25,000 Reviews: * Roomy interior for people and cargo; strikes a good balance between ride comfort and sure-footed handling. Source: Edmunds * The 2015 RAV4 captures the spirit of freedom that began with the original RAV4, yet breaks new ground in refinement, practicality and technology. The traditionally mounted spare now resides under the cargo floor so that the RAV4 now has a true liftgate, opening up instead of out. Opt for the RAV4 Limited and you'll get a power liftgate with jam protection that even offers height adjustment. From its efficient engine to its new 6-speed automatic transmission and updated suspension, RAV4 is every bit a driver's machine. It's now available with the all-new Dynamic Torque-Control All-Wheel Drive system. It improves handling by distributing power from front to rear, and manages the vehicle's braking system from side to side for maximum control. RAV4's standard 2.5L engine produces 176hp along with 172 lb.-ft. of torque to make short work of long roads. With the pull of a handle, passengers can recline the rear seatbacks and enjoy the ride. Even with all the leg room offered by RAV4's interior, there's still plenty of room for your gear. In fact, you can stow up to 38.4 cubic feet of cargo with the rear seatbacks in their upright position. You can even fold the second-row seats in seconds by pulling the handle up and lower the seatbacks to create a wide, flat load space with 73.4 cubic feet of cargo capacity. Optional features now include Blind Spot Monitoring with Rear Cross-Traffic Alert which provides audible and visual cues when the RAV4 detects oncoming traffic. The available Smart Key fob allows you to lock and unlock the doors and liftgate with one touch and start the vehicle with the push of a button, Display Audio with Navigation and Entune, 11 JBL GreenEdge speakers in seven locations with a subwoofer and amplifier. 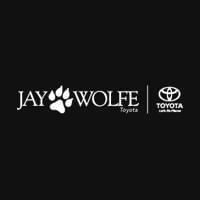 Source: The Manufacturer Summary Here at Jay Wolfe Toyota, we've been happily serving the Kansas City area for 60 years! For sales, service, and parts we are easy to work with and love creating customers for life. Please visit our website at http://www.jaywolfetoyota.com. TOYOTA CERTIFIED, Backup Camera, Bluetooth, 7.0J x 17" Alloy Wheels, Heated front seats, Leather Seat Trim, Power moonroof, Radio: Entune Premium Audio w/Navigation/App Suite, Remote keyless entry. CARFAX One-Owner. Clean CARFAX. Cosmic Gray Mica 2015 Toyota Camry XLE V6 FWD 6-Speed Automatic 3.5L V6 SMPI DOHC Recent Arrival! Odometer is 7620 miles below market average! 21/31 City/Highway MPG Toyota Certified Used Vehicles Details: * 160 Point Inspection * Limited Comprehensive Warranty: 12 Month/12,000 Mile (whichever comes first) from certified purchase date. Roadside Assistance for 1 Year * Transferable Warranty * Vehicle History * Powertrain Limited Warranty: 84 Month/100,000 Mile (whichever comes first) from original in-service date * Warranty Deductible: $50 * Roadside Assistance Awards: * 2015 KBB.com 10 Best Sedans Under $25,000 * 2015 KBB.com 15 Best Family Cars Here at Jay Wolfe Toyota, we've been happily serving the Kansas City area for 60 years! For sales, service, and parts we are easy to work with and love creating customers for life. Please visit our website at http://www.jaywolfetoyota.com.